This advanced eCommerce website is running on the BlueBox CMS. It is responsive and has various content areas that can be updated easily like the supported initiatives, news, books and reading pages. The shop can process orders and is easy to add or edit products. 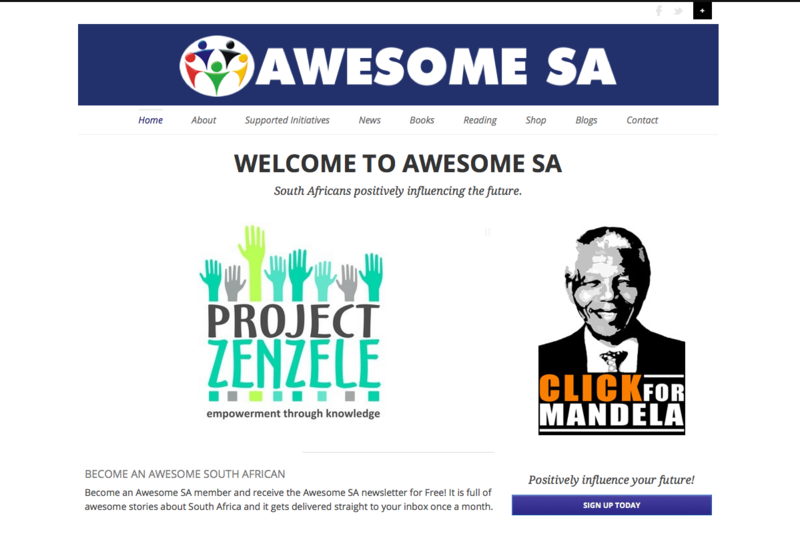 The website also has a few call to actions where people to sign up as Awesome South Africans and receive the Awesome SA newsletter.